Sports cars these days have ludicrous amounts of power. For example, a 2017 M3 has 425 HP. Modern sports cars tame that power with stability control, traction control, and anti-lock brakes. You can generally turn off some of these nannies, but even if you don’t, you’re driving an amazing machine that can exceed 100 mph very quickly. At that speed, you can get badly injured. Crash tests are performed at 35mph, not 100. Yeah, your car isn’t designed to protect you at track speed. At 100 mph, you’re experiencing over 8 times the kinetic energy compared to 35 mph. Race cars tend not to have any nannies or airbags. This makes them more dangerous to drive. Even with full cages and safety equipment, you wouldn’t want to crash at 100 mph. In the video below, the driver is in a race-prepped Porsche 911 (996) at Willow Springs. He runs off track in T2 at about 85-90 mph. When he hits the dirt wall, he’s probably going 75-80. The crash breaks 4 vertebrae. That looks like it really hurt. 911s are notoriously difficult to drive and Willow Springs is a particularly dangerous track when you leave the asphalt. Driving it hard enough for it to oversteer in the middle of the corner is what you’re supposed to do if you’re an A-level driver (see the Skill page linked above). But if you’re a B or C driver, going this fast could get you in a lot of trouble. Once the car begins to oversteer, the driver’s reactions are slow, uncoordinated, and panicked. He loses control of the steering wheel and becomes a silent witness to his own crash. 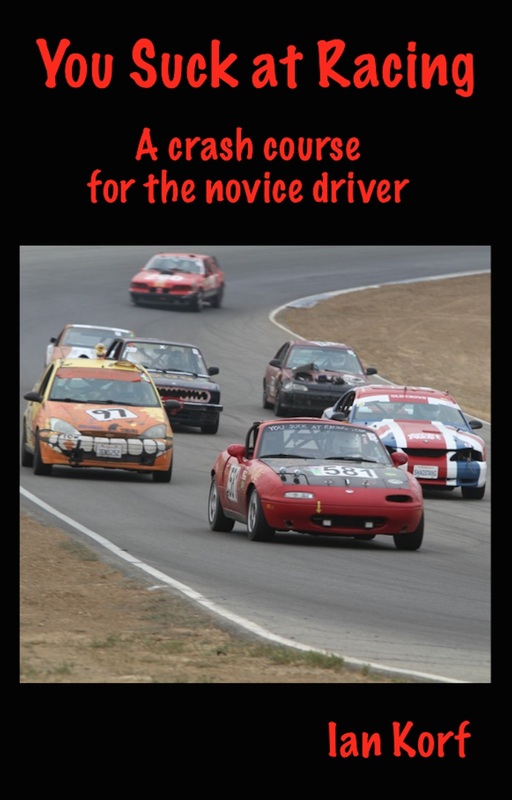 Oversteer recovery should be engrained in muscle memory, capable of retrieval without thought. Heres’ an important tip: learn to drive a sliding car at lower speeds and in safer environments. Get a first-generation Miata and drive it on all-season tires. Stay away from high speeds and sticky rubber until you’ve learned how to slide a car from entry to exit. Shifter karts are wonderful training devices: no nanny controls, high power/wt ratio, and with no suspension everything happens quickly. They are pure racing machines. Though I haven’t read all of your blog, have yet to find mention of shifter karts. There is a reason F1 drivers come from, and return to, shifter karts throughout their careers. I haven’t spent much time in karts and I’m honestly really ignorant about them. In Davis, where I live, there is a really great kart track that costs something like $250 annually to join. Members pay zero day fees. I can’t get into karts though. My wife would leave me.